Did you hear the news? According to various news reports, on Wednesday, former Illinois Congressman Jesse Jackson, Jr. was sentenced by a federal judge to serve 30 months in prison following his guilty plea to mail fraud and wire fraud, in connection with his siphoning $750,000 from his campaign account. 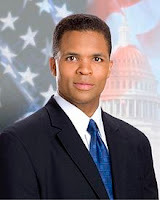 One of the allegations in my prosecution, (as a former AUSA), of former Georgia Senate Majority Leader Charles Walker similarly involved using his own campaign account for personal expenses. In the new case, Jackson reportedly used his political campaign account as a "piggy bank," over the years, using it to purchase luxuries such as a Rolex watch and spa excursions. Jackson's wife was also sentenced to serve one year for her role in the scheme, according to reports. To his credit, Jackson had accepted responsibility for his crimes and did not use his bi-polar condition as an excuse, at sentencing.